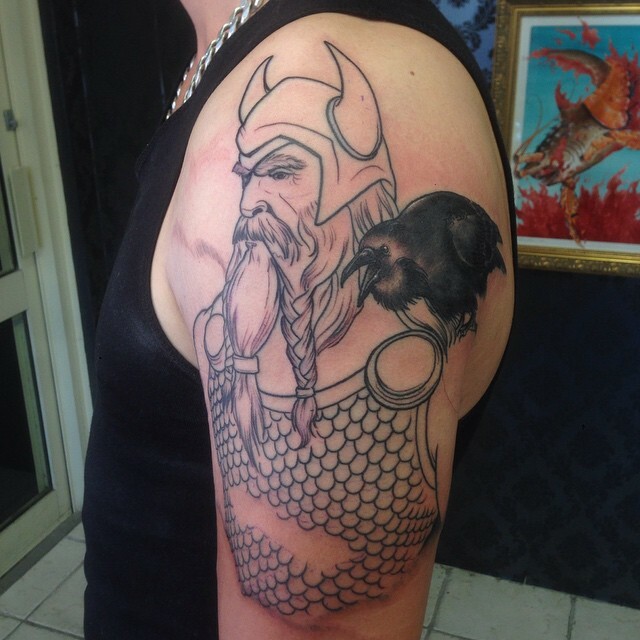 If you desire a tattoo based on Viking heritage, then you have two paths to follow. You can follow the mythical one or the authentic one. If you want to maintain your design as authentic, then you should avoid having a Viking warrior placed on you in a horned helmet. Vikings never had any horned helmets. When choosing their weapons and armors, they were very practical. Imagine yourself as a Viking warrior in the middle of a battlefield with a helmet featuring two horns. And somewhere in the battle your enemy gets hold of the horns on the helmet and begins yanking you around. Furthermore, you should avoid depicting double bladed axes. The form of axes never existed at the time. Vikings were very practical and therefore their axes were very narrow and light. They did not have any combination of an axe and spear. 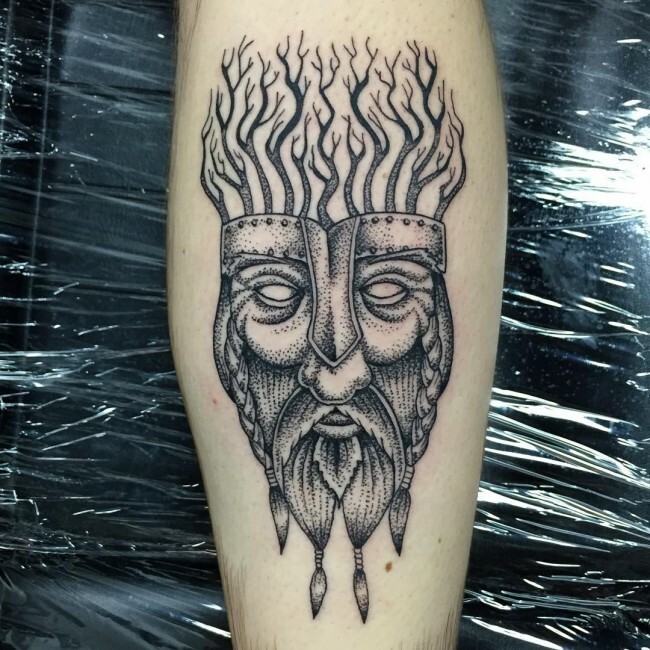 Even though this tattoo designs are very common in the mythical designs. If you think of getting a Viking gods theme, start by studying thoroughly about the Viking mythology mostly found in Icelandic sagas. 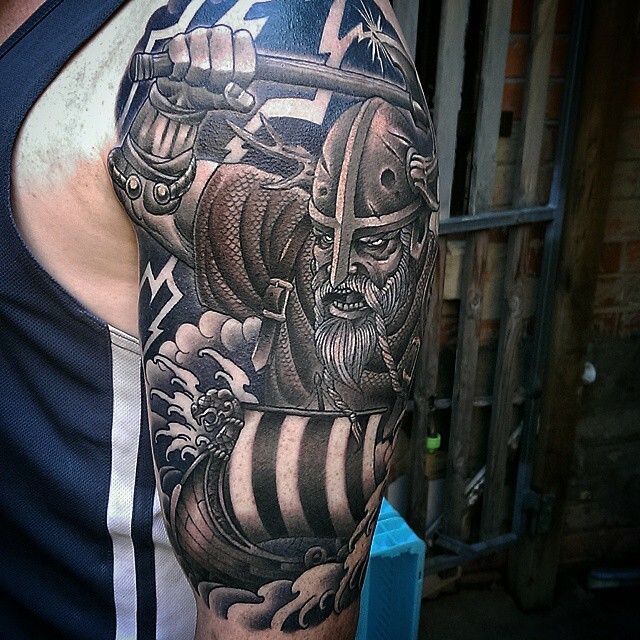 The tattoos are the most essential source of information related to Viking gods. However, you will still need to utilize your imagination at the end since the information you will get relating to Viking gods is incomplete. If you desire to go purely authentic, study the Viking designs that have survived. Today, there is lots of Viking art available. 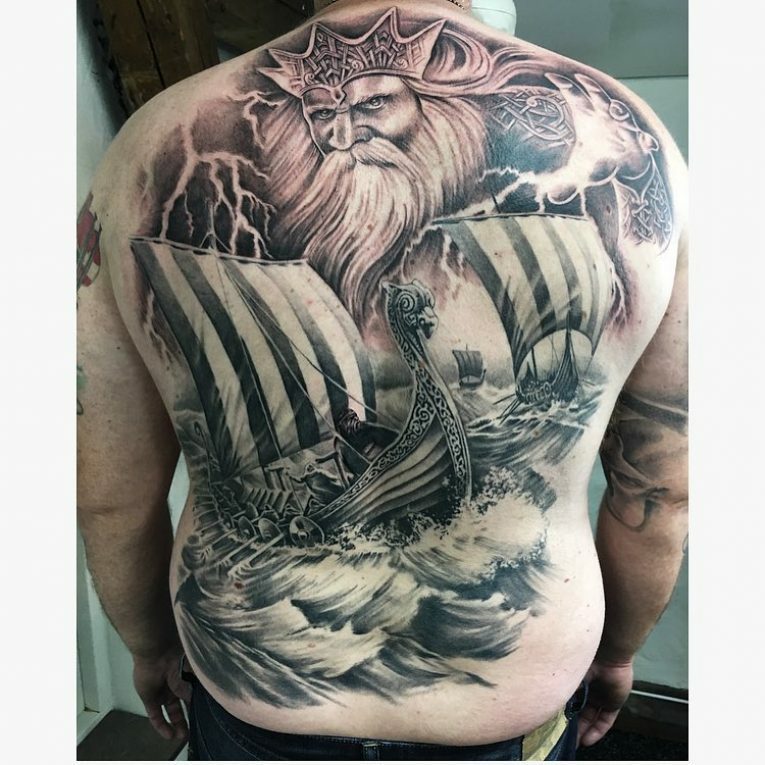 Historically, only a little evidence exists and which reveal whether the Scandinavian Vikings relied on tattoos to express their feelings. However, according to Ahmad Ibn Fadian Rus Vikings seems to have placed tattoos on their body parts. Ahmad is an Arabic diplomat who encountered Rus Viking in 1922AD when visiting the Bulgars. 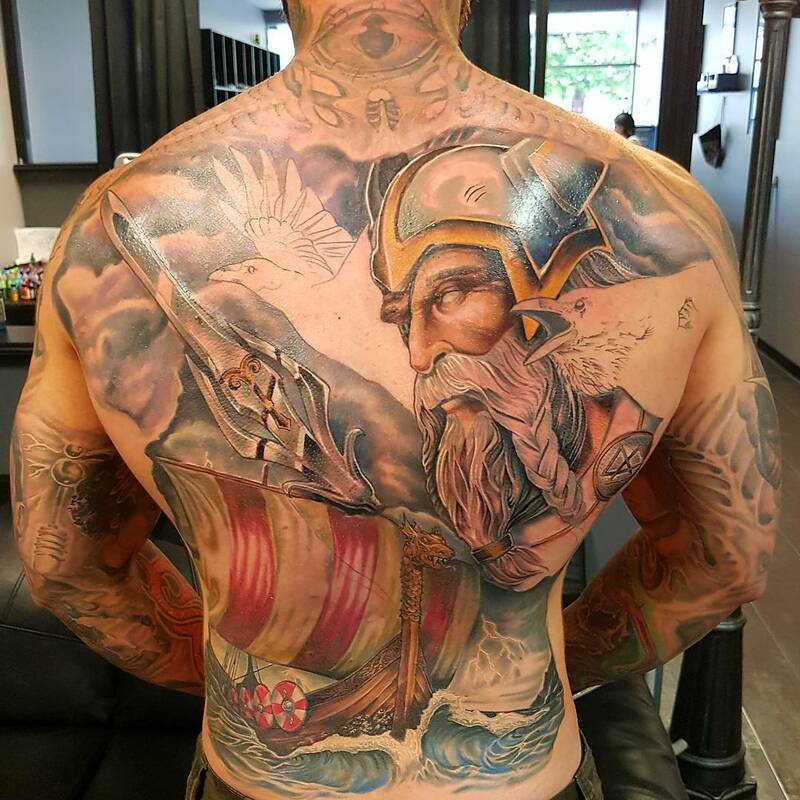 According to Ahmad’s observations, the Vikings had tattoos placed on their fingers and other body parts including their shoulders. The tattooists at that time used green trees to place the tattoos. However, you should also note that the Arabic word describing the color can also mean black or dark blue color. Most likely, the color Ahmad observed is one of these because Vikings highly used wood ash in their colorings. In addition, the pattern Ahmad observed and described it as being tree is perhaps more likely to be the general knot pattern which was very common in England and Scandinavia. 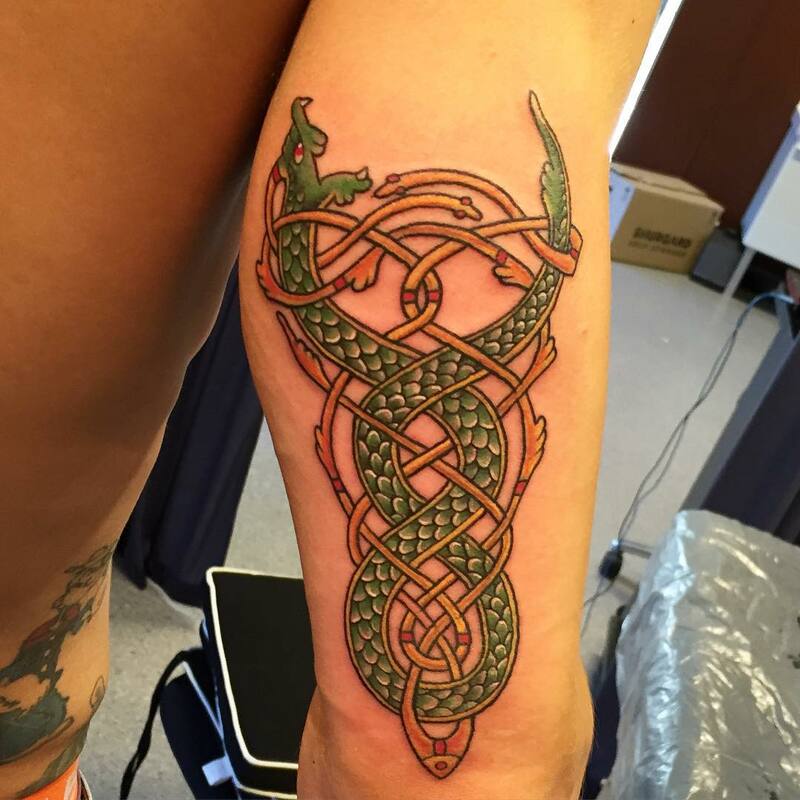 The knot work is also very common in the modern Celtic tattoo designs. These designs hold various meanings and which widely differ. The meaning primarily depend on the specific design that you have selected. When selecting a design you should remember that it should represent exactly what you want. 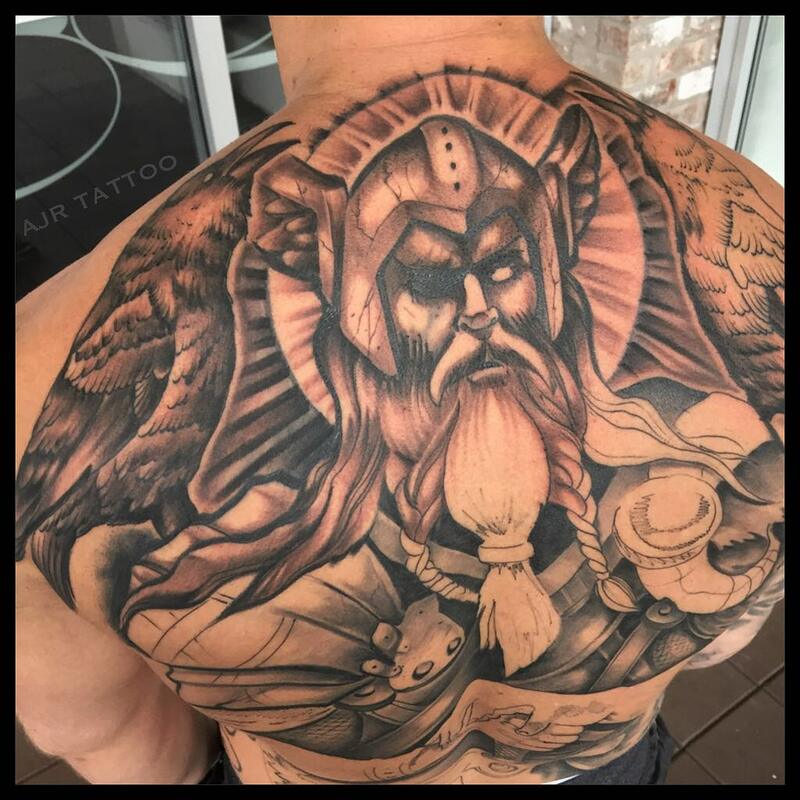 Some meanings of the tattoo designs include freedom, rebirth, victor, achievement, courage, strength, protection, renewal, life, Christianity, spirituality and good luck. The designs hold various symbolic meanings to the wearer. The tattoos can symbolize courage, strength among others. The facial Viking designs require great lines and details work. Every facial part is very important and especially the eyes. A tattooist should be extra careful when doing the shading with black ink only. 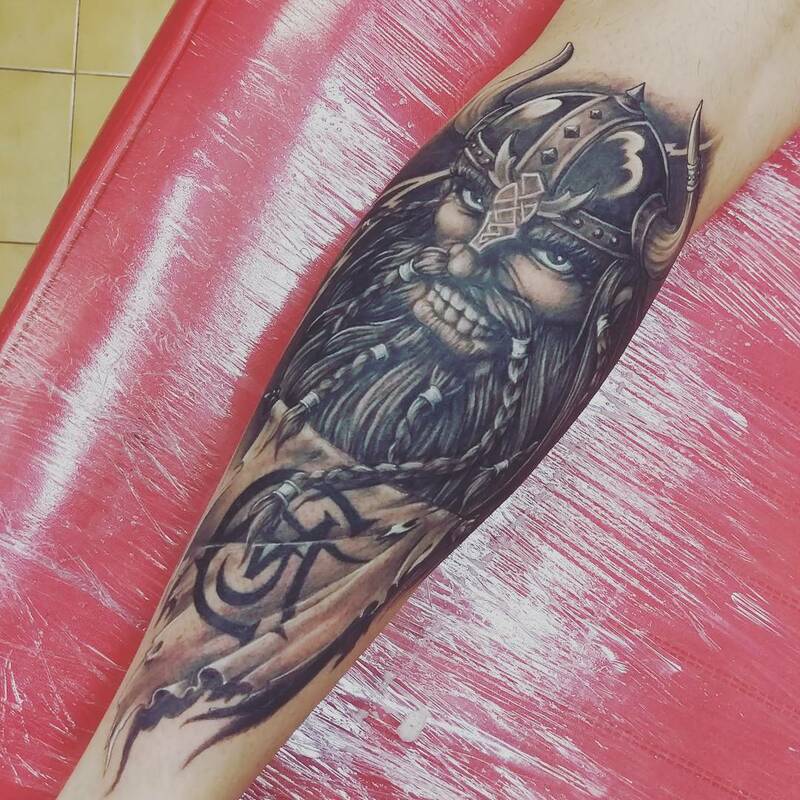 All Viking designs are not head shots. There are some designs that may depict Celtic art and others Viking symbols. 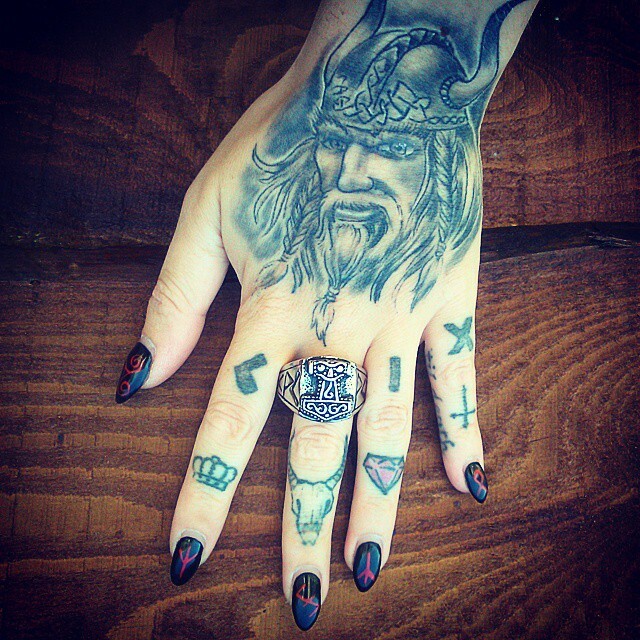 The Viking symbols are very common in both genders. 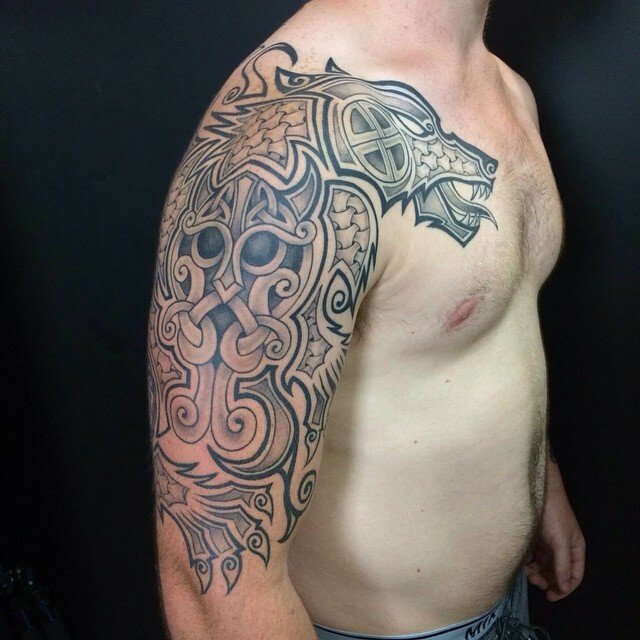 The other names of tattoo designs are Celtic Warrior designs or Norse tattoo designs. The designs mostly portray a warrior prepared for battle. The warrior may be holding weapons, flag or even a shield. 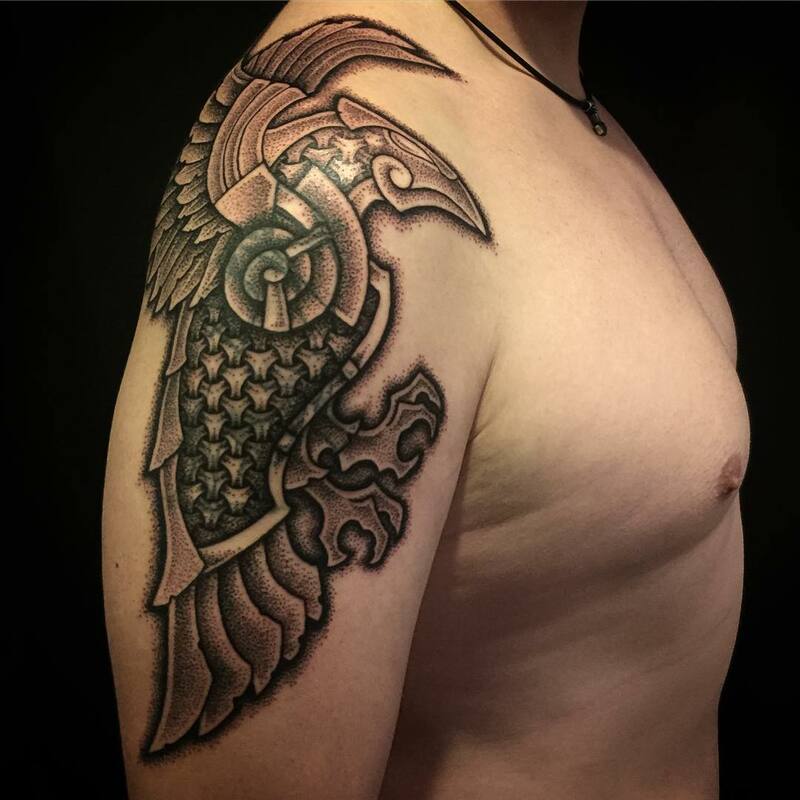 There are very many designs and therefore you should take time with your tattooist to select the best design. A tattooist can place these tattoos in various ways and the designs usually hold symbolic value to the wearer. They come in many variations, designs, styles, sizes and colors. Working with Viking designs is a real fun. Tattoo artists mostly place the tattoos in solid black ink but they also include great details. 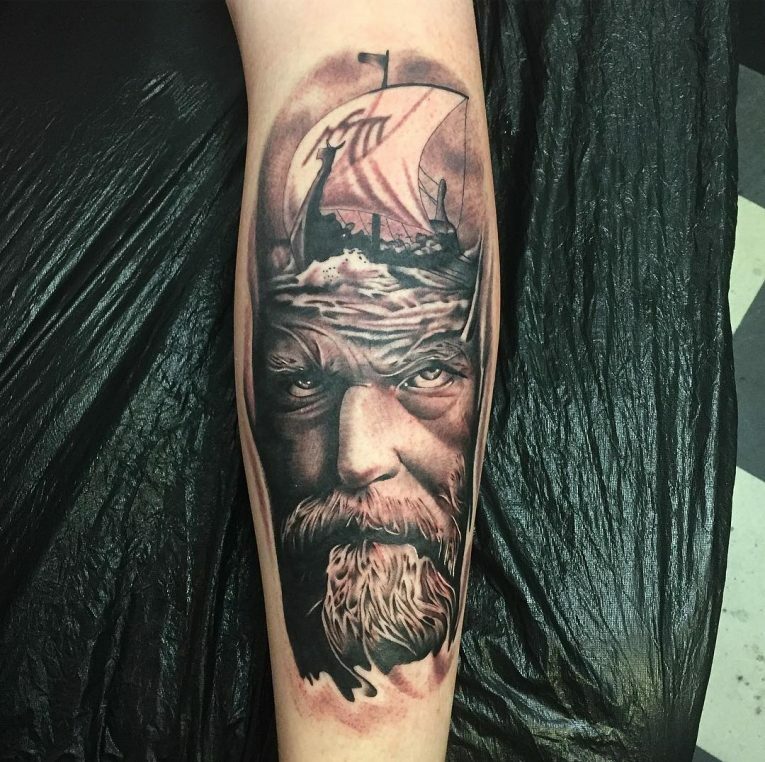 There are designs that depict a Viking’s head shot and others depict Viking symbols ships and some other associated meanings. 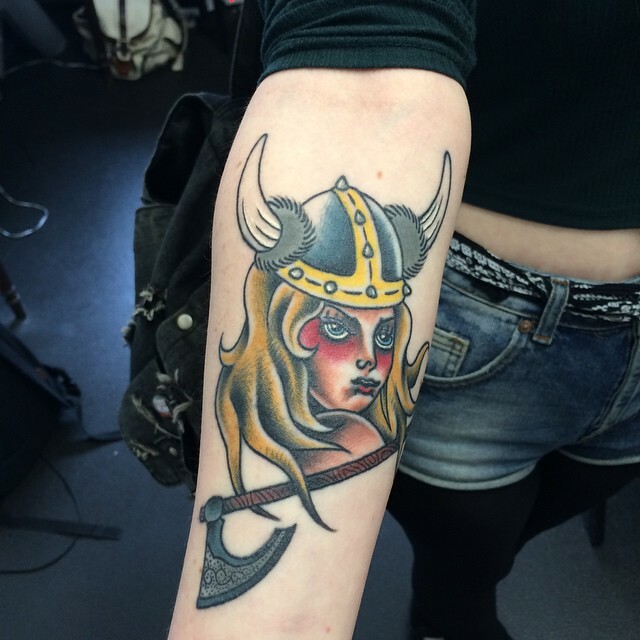 Before getting any tattoo design, there are several things you should consider. 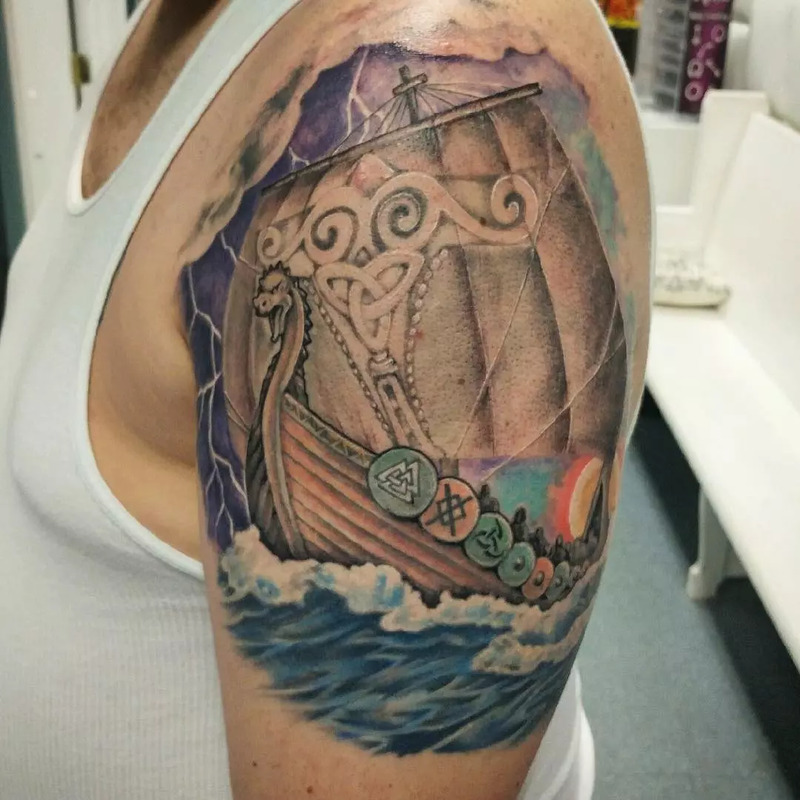 Take your time to properly research the tattoo you desire. Be sure to confirm what your tattoo stands for and represents. You should not wait until the tattooist inks the tattoo on your body and then find out that it represents a very different thing from what you wanted. Ensure that you have seen as many designs as possible. Don’t take the design that appears first on the chart. You will be planning to live with the design in your remaining life and it is therefore important if you take your time. 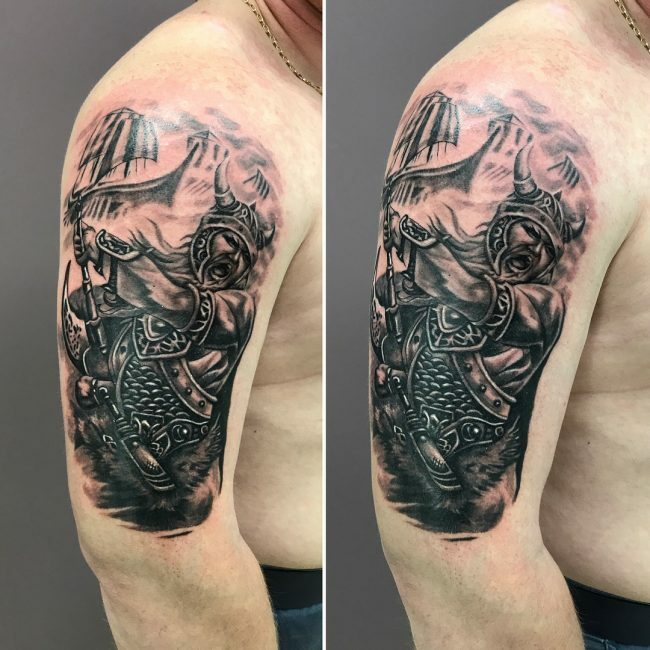 All tattoo designs are not for you and you should also listen to the tattooist to come up with the best design that will suit you. This is one of the Norse symbols that you can consider. The symbol is believably thought to be the Old Norse carvings known as the Valknut or the Hrungnir’s heart for the Hrungnir giant. The giant is well known as the slain knot or Walknut. 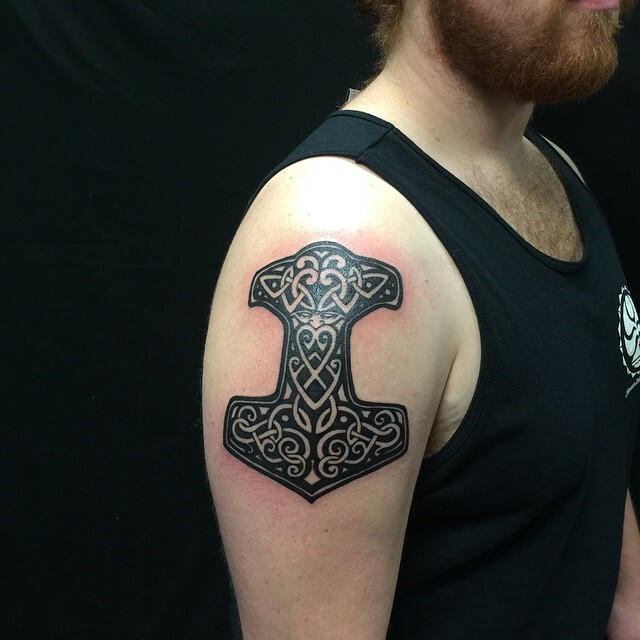 The Norse symbol represents reincarnation and rebirth. This is another symbol widely used in Viking designs. 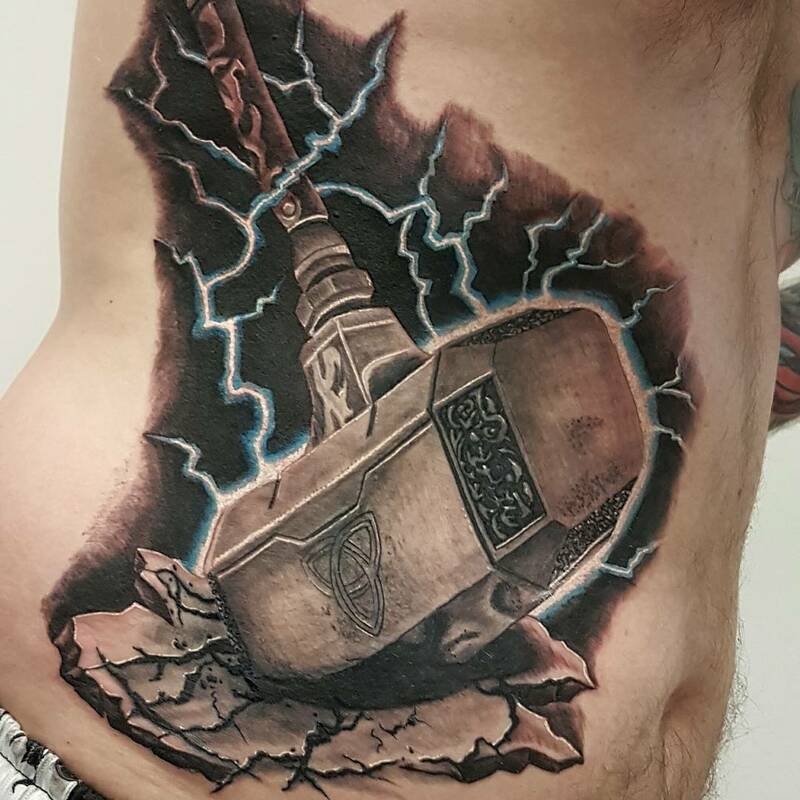 Thor’s harmer symbolizes power of Thor over thunder and lightning. The symbol also represents protection. Tattooists place Gungnir, Jormungand and Mjolnr Pendant tattoos as Viking designs even though they are all Norse tattoos. The tattoo design represents magical powers related to the Celtic period. At that time real men were supposed to fight it out. This is a design for the true winners. Berzeker fighting art is the deadliest art in which you can learn how to defeat any person at any place and time. This is for the real warriors who never quit no matter what they face. Angry Viking warriors are taken to mean dangerous people as they never relented until they finished the enemy. This is a symbol for bravery. A helmet was only handed to true heroes at that time. This is a common symbol for giving up and surrendering to the enemy. As you already know, Viking designs contain very many elements and symbols. You should therefore view many pictures and images to select the best design since each design has unique features and symbols that make it to stand out. 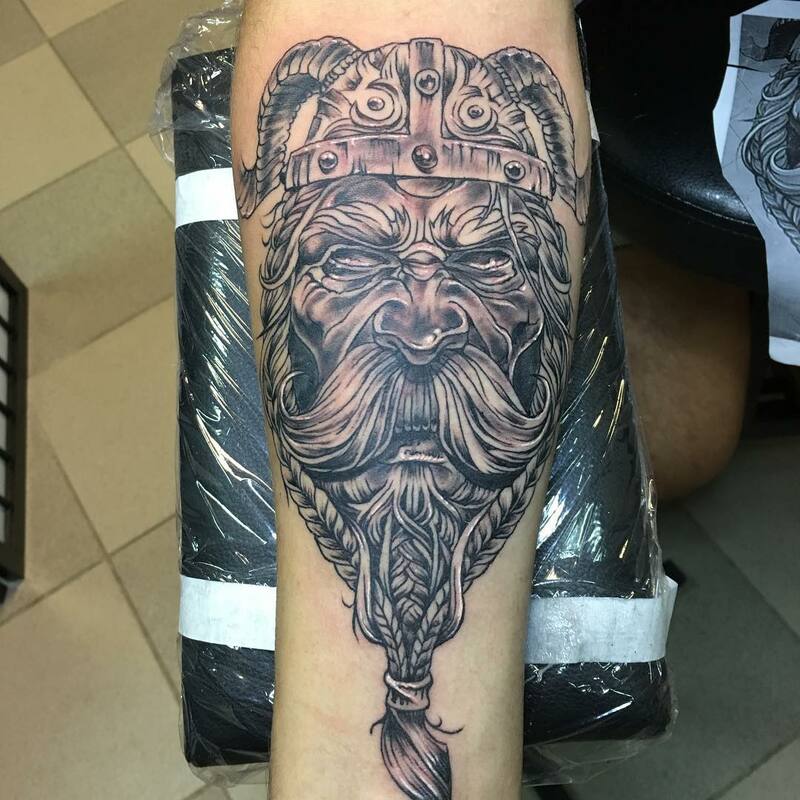 You can also get ideas to come up with a unique Viking design by taking your time to view many designs.